This post was written by Nevin Bansal. Nevin is the President and CEO of Outreach Promotional Solutions. He also serves as Chairman and Executive Director of Small Biz Cares. Small Biz Cares empowers small business owners to join together for greater impact in their philanthropic efforts. Visit Small Biz Cares for more information. I love the fact that there are so many companies that give back. It shows that business can be an engine for good. Companies typically give through a number of different vehicles – company foundations, team volunteering, fundraising, sponsorships, and in-kind donations to name a few. Many non-profits and community organizations rely on these contributions to achieve their missions, and in some cases, to survive. The positive impact being made is just one reason companies do good. The benefits of giving back go well beyond the altruistic reasons for doing so. Many large companies understand this. Here in Columbus, companies such as Nationwide, Huntington and Chase are known for their community impact efforts and thrive partly because of them. However, for many small businesses, giving is not prioritized and looked at as an expense. 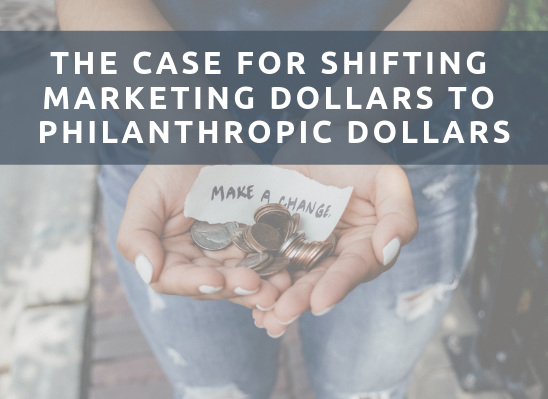 In order to “do well by doing good”, businesses of all sizes need to start thinking about giving not as a charitable contribution, but as a marketing expense, necessary to grow and thrive. If done in a smart way, small businesses can make a positive community impact AND increase sales. Studies show that 2/3 of consumers prefer to work with a business that is socially conscious. This is even more important for the millennial generation, who in many cases choose to buy from a company because of its social stance. Supporting causes and getting involved in building a positive community can create an enhanced brand image. Of course, to build a socially-conscious brand, it is not only about giving. The culture and values of the company must also align and be genuine. One of the biggest challenges small businesses face is attracting and keeping great people. It’s not enough just to offer competitive pay, benefits and enjoyable work. Nowadays, it is also important for employees to feel pride in their company – to feel like they are making a difference in society. By standing for something, supporting causes and giving employees an opportunity to volunteer, businesses can create a greater emotional connection with their teams thus creating a more attractive culture that employees will want to be a part of. Businesses who execute a strategy of cause marketing can expect to generate more sales. Cause marketing is defined as a type of corporate social responsibility, in which a company’s promotional campaign has the dual purpose of increasing profitability while bettering society. Nonprofit organizations offer a number of ways to gain greater exposure. Some ways include logo placement at an event, advertising in a newsletter, or mentions on social media. 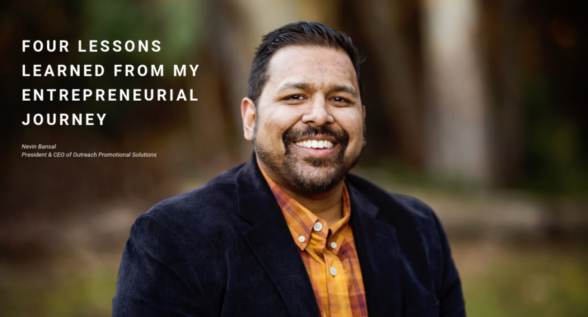 Through getting involved in philanthropic efforts, businesses can build their network with other business owners, community leaders and consumers who are also involved with particular causes and community efforts. This network benefit is especially valuable because of the common connection around a cause. Yes, doing good is the ultimate goal. I think all of us can agree that we are a better society when businesses get involved to make a difference. However, I think it’s okay and even encouraging to see a win-win from giving back. If we can create a mutually beneficial giving opportunity for companies, we have now increased the potential that a company will continue to give and that others will be inspired to get involved.